Fenerbahce Ulker remained busy in its preseason preparations and shored up its frontline by signing big man Kaya Peker from Efes Pilsen for two years and re-signing Oguz Savas for two more years. Peker is among the premier big men in Turkish basketball and averaged 8.3 points and 5.3 rebounds per game in 16 Euroleague appearances last season. He has played eight Euroleague seasons and ranks 19th on the Euroleague's career rebounding charts with 639 and 21st with 75 career blocked shots. Fenerbahce Ulker will be his third Istanbul team after a season with Besiktas Cola Turka, which he helped lead to the 2008 ULEB Cup Final Eight with 13.2 points and 6.6 rebounds per game, making him the team's top rebounder and second-best scorer. 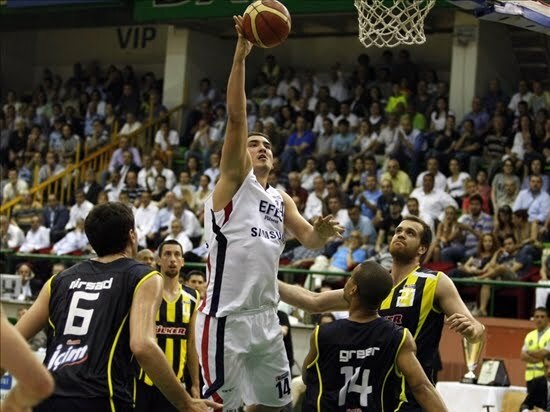 Peker started his career with Pinar Karsyaka before joining Efes in 2000. Peker also played a year outside Turkey, reaching the 2007 Final Four with Tau Ceramica of Spain. Savas has spent his entire career with Fenerbahce Ulker, debuting in the Euroleague as a 17-year-old in 2004. Last season Savas averaged 7.2 points and 4 rebounds in less than 20 minutes per game.